Singer-songwriter, actress, model and DJ Ninet Tayeb is among the biggest entertainment figures in Israel, with a reputation for visceral, dynamic and potentially messy live performances. As incongruent as it seems today, Ninet first found success by winning Israeli Idol, launching her to instant fame. Her debut album went platinum in a day and yielded five #1 singles, not to mention a long-running TV series (which she starred in) based on her life. She delivered an electrifying performance in the movie The Assassin Next Door and was nominated for Best Actress in the 2010 Israeli Theatre Awards. On her second album, 2009’s Communicative, she took a sharp turn inward, exploring her musical identity and tapping into indie rock influences like Jeff Buckley and P.J. Harvey. Public reaction was immediate and harsh – she played to almost no one on the subsequent tour. 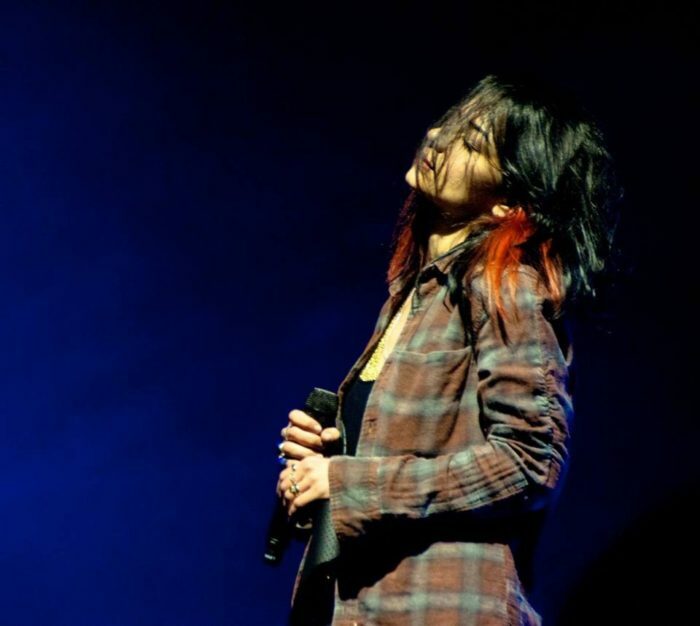 Yet Ninet stayed on that musical path, a truer personal expression, and slowly but surely a new type of audience responded, and she has since twice won Israel’s “Favorite Music Act” at MTV Europe’s Music Awards. She has released albums in both Hebrew and English, shared stages the likes of Jesus and Mary Chain, and appeared at such iconic venues as Royal Albert Hall in London and The Beacon Theater in New York. In 2015 Tayeb moved to Los Angeles. Her fifth album, Paper Parachute (the first to be released in the U.S.), reveals an artist with deep resilience, fierce determination, and disarming vulnerability. Thanks to the Jewish Federation of Tulsa and the Consulate General of Israel to the Southwest for supporting Ninet Tayeb’s appearance.